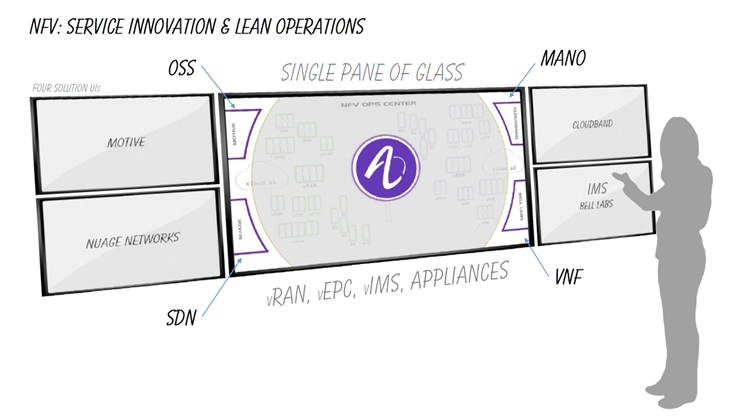 Alcatel-Lucent’s NFV (Network Functions Virtualization) Portfolio demo faces a main aisle in Hall 3 and is quite visible on purpose. This is expected to be a main station at our booth’s public area. However, we will be conducting back to back demonstrations under a tight schedule and by invitation only. Our guests will be all joined by tour guides and/or customer teams. Ted and I will be facilitating conversations on service innovation with focus on what it takes to deliver lean operations in the carrier cloud. Far from a monologue by design, this is a hands-on interactive demonstration experience integrating a mix of already available solutions and what’s in the production pipeline. We will cover Bell Labs research on fine grained / correlated analytics as well, powering smart load placement and RCA (Root Cause Analysis). 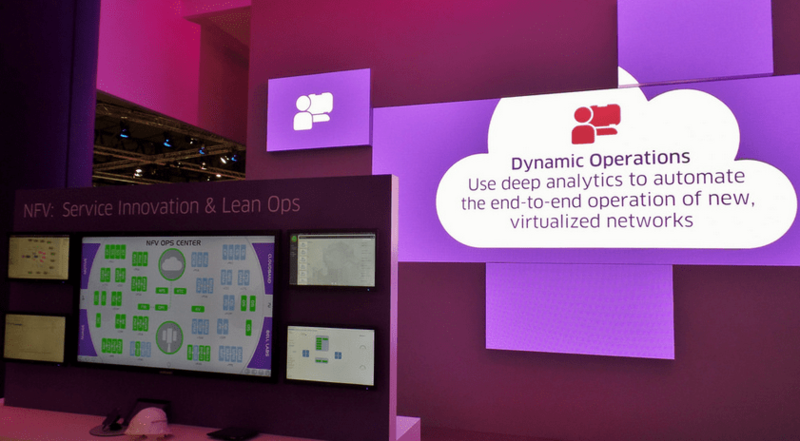 Making dynamic lean operations happen is of the essence and, therefore, everything is running on CloudBand in the context of a distributed system in a HA (High Availability) environment with mission critical and sophisticated VNFs (Virtual Network Functions). Mobile World Congress and the Event App. 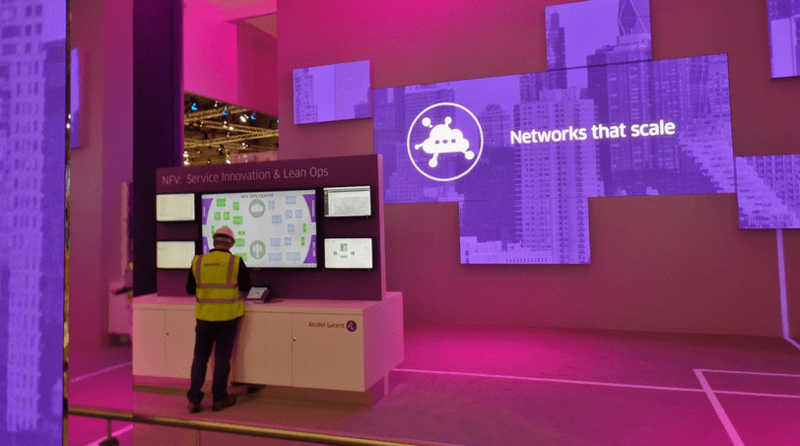 #MWC15: Day -2 Let’s Run a Quick Recap.